I was flattered when Tatiana Pujol, the beautiful Blogger behind We Shop In Heels nominated me to participate in “A Tour Through Blogland”. I have followed her blog for awhile now, and simply adore her stunning style. I’m a Southern California girl, living in a New York State of mind, so I love living vicariously through her NY/New Jersey based blog. At the moment, I’m working on potential blog posts for January/ February. Describing myself as a serious planner is a serious understatement! I like to have a clear idea of what I want my readers to see each month. Right now, I only post every Monday & Thursday, so narrowing it down to 8 potential outfits each month can be challenging, when you have a closet full of fabulous ideas. How does my work differ from others in it’s genre? Because I have a closet full of fabulous finds, and want to share it with others who obsess over fashion as much as I do. I’m a planner (as I mentioned), so I created a spreadsheet for each month to jot down ideas of what I’d potentially like to shoot in the future (outfits/locations). It constantly changes, but it keeps my head straight. I shoot a few weeks ahead of when I’m actually going to post each blog. It gives me time to edit and revise, and I don’t feel as though I’m on a short time restraint. The hardest part so far has been shooting “fall” looks, while it’s 90 degrees out! But I want to keep the fashion consistent with the changing seasons, so if it means sweating my leather jacket off in order to get a good post – it’s totally worth it. Hello everyone! We are Danica & Jessica, the Utah sister-in-law blogging duo behind Brooke & Jane. 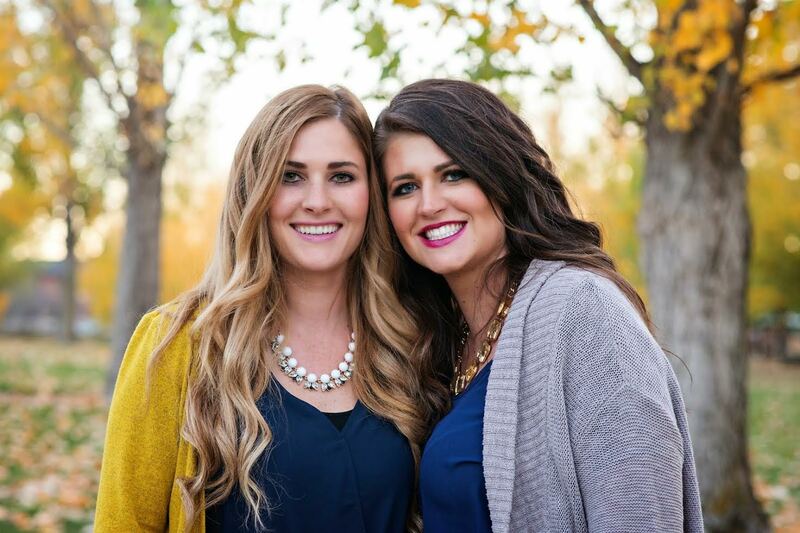 Jessica is a lawyer from Texas, while Danica is a hairstylist born and raised in Utah. We are very different, but share a love in all things fashion, decorating, party planning, cooking, and in general making life more beautiful! We love sharing our ideas and helping to make our readers’ life at least a little bit more fabulous! Check out our blog for your daily dose of inspiration! XOXO! Hello there! My name is Erin Elizabeth and I blog over at With a Wink and a Twirl. I am an Arizona girl that loves her palm trees, sunshine, and perfect weather all year round! I believe that fashion is an expression of one’s self. What better way to share yourself with the world than with a fabulous pair of heels and the perfect statement necklace! No matter what life brings, nothing can hold a fashionista down! So, stay true to who you are, rock that closet, and do it with A Wink and a Twirl! I am seriously impressed you are already thinking about January! I have only made it to next Tuesday! I agree. I have been blogging for 4 months and am proud of how far I’ve come! I am still working on some unique aspects of my blog too! Great post, I enjoy reading about other blogs! I’ve enjoyed reading this post very much. I wish I were more disciplined and planned my posts more far out in advance. This is something I’m working on right now. And you are absolutely right. There is room for ALL of us! Love learning more about you girl! Thanks for the feature! Thank you so much for your kind words. You are so great at planning. It’s definitely one of the most helpful keys to a successful blog, so keep that up! You are totally right! There is definitely room for everyone. It’s been great to learn about your blogging process and discover other bloggers too! Wow – I am impressed at how far ahead you plan!! I usually have a slight idea of what I want maybe the week before but that’s about the extend of my planning. I really wished I could shoot on location but just does not fit into my life. Great getting to know more about you. Have a wonderful Thanksgiving and stay cool – it’s gonna be hot the next couple of days!